RLD Relocation & Logistics has the right space for what you need to store. You get clean and secure Akron storage perfect for protecting your possessions for short or long term. 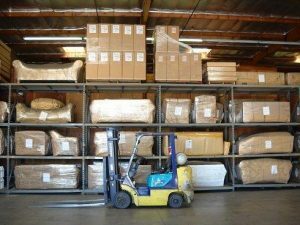 Ample amount of warehouse space for storing household goods, office furniture, and equipment. All of your storage needs are conveniently serviced at one location. Specially designed, customized vaults that are used to accommodate whatever treasured possessions you wish to leave in our care. A warehouse protected by fire alarms, burglar alarms, a sprinkler system, and 24/7 monitoring. Your overstuffed furniture that requires storage is wrapped in thick durable protective paper padding for increased protection. Contact us to discuss your specific storage needs.